← In Venezuela, what it takes to make a village healthy. The extreme logic of educating Pakistani girls. It’s been said that educating a Pakistani girl has the highest social rate of return of any investment in the world. That’s a pretty strong promise, but it makes a lot of sense. And nobody realizes that more than Developments in Literacy (DIL). Started in 1997 by Pakistani-Americans who know from bitter experience the dismal state of education in the remote, rural regions of Pakistan, DIL is an amazing organization dedicated to providing quality education to disadvantaged children, especially girls, in the underdeveloped regions of Pakistan. 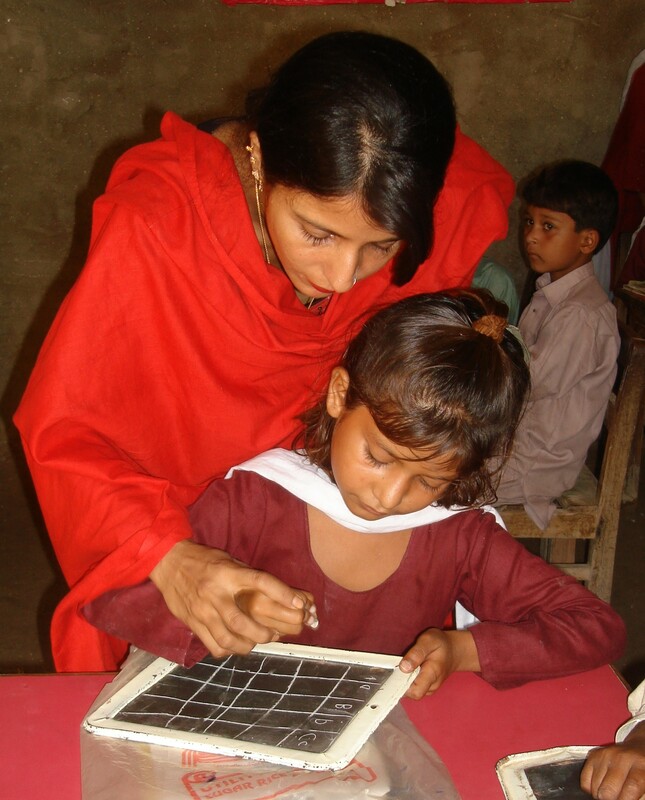 Today in 150 modern, progressive schools based in the country’s most isolated regions, DIL is educating 17,000 Pakistani children –67% of them girls – who might otherwise be forced into early marriages, desperate extremism, or a lifetime of grinding poverty. Girls like Anita from Khairpur, whose mother was married at age 14 to a man of 50. He died when Anita was a young teen, forcing the girl to leave school to help her mother in the fields. When a DIL school opened in her village, Anita won a scholarship and her mother reluctantly allowed her to continue her studies. Anita excelled, graduated, then became a DIL teacher and community leader herself – supporting her mother and providing a powerful role model to village girls of what a woman can do. In 2010, DIL had 3,088 similar success stories — a class of secondary school graduates who utterly defy the 45% national dropout statistics. With a strong focus on gender equality and community participation, DIL schools are community–owned and have active village education committees working in collaboration with regional nongovernment agencies. They have won the hard-earned support of village elders and parents who have come to realize that education is both the long-term solution to poverty and the path to prosperity. With its child-centered curriculum, modern libraries, computer labs and almost 700 high quality teachers, DIL schools connect young Pakistani children to the world, and prepare them to be a part of it. Once given a voice, an education, and a marketable skill, young women (and men) are empowered to participate in their communities, support their families, and move their villages forward– away from the forces of oppression and extremism. It’s a safe bet to say that supporting the work of Developments in Literacy is both the right thing to do for the underprivileged girls and boys of rural Pakistan – and the smart thing to do to ensure our own security. To join me in giving to this remarkably able organization, click here.